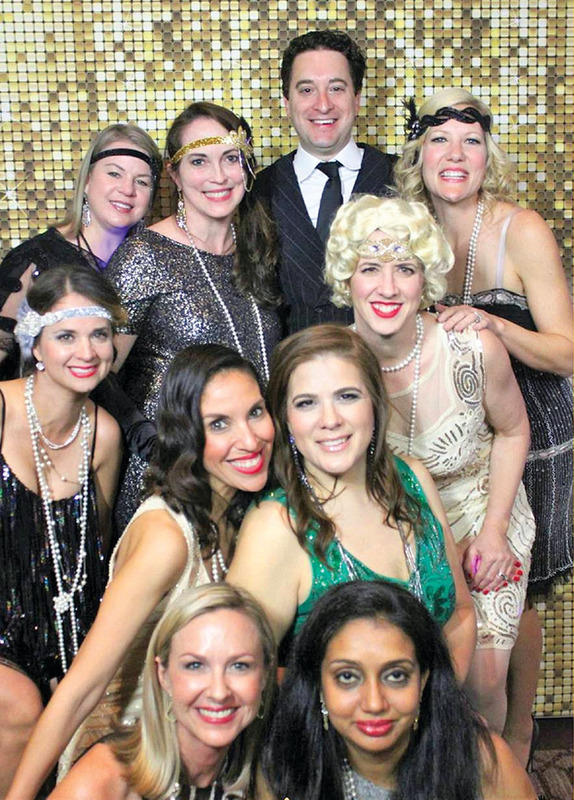 Horn Elementary hosted its Roaring ’20s Horn Gala at The Briar Club of Houston. Transporting guests back to an era of flappers and jazz, the gala included a seated dinner, dancing and auctions. Horn moms Lisa McCarthy and Katie Wylie co-chaired the event, which raised more than $107,000 to support the school. Pictured are (clockwise, from the top) Kevin Steinberg, McCarthy, Jenny Dagley, Adriana Shetsky, Anu Hiremaglur, Rainy Gibbs, Tricia Onufer, Jessy Morgenroth, Dawn Miller and Rebekah El-Hakam.